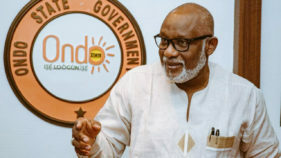 When the ruling All Progressives Congress (APC) retained Osun State in the controversial September 2018 gubernatorial election, which gave it total control of the six states in the Southwest geopolitical zone, less was expected from the major opposition Peoples Democratic Party (PDP), as it was virtually not given any chance to survive in the 2019 elections. As at September 2018, APC was in control of Lagos, Oyo, Ogun, Ondo, Osun, and in Ekiti State, where PDP was defeated in the July 22 gubernatorial election. It was a development that left many political observers thinking that the kind of desperation exhibited by the ruling party to retain power by all means would leave a party like PDP with no chance to win in any of the six states. As a matter of fact, the garrison manner in which Ekiti and Osun gubernatorial elections was conducted and won by APC sent a death-knell signal to PDP in states like Lagos, Oyo and Ogun. However, as events unfolded even within the ruling party, especially when it gradually became obvious that APC itself has protracted internal crises across the Southwest zone, which boomeranged after its October primaries, there was a kind of reassurance in PDP’s camp of regaining states like Ogun, Oyo and Lagos. Apart from looking ahead to take advantage of the division within APC, the party also hinged its campaign on the hunger and poverty pervasive in the country since the ruling party came to power in 2015. The performance of Southwest PDP in the 2019 general election was not a total disappointment, considering the outcome of the polls. Except in Lagos and Ogun where it performed woefully, the party manages to reclaim Oyo State, with Seyi Makinde emerging as Governor-elect. If the tribunal verdict in Osun State, which declared Ademola Adeleke of PDP as winner of the September 22 election is sustained by the Appeal Court, the party would gradually have its way back in the region. IF there is a state where PDP is expected to have had easy victory in the last gubernatorial polls, Ogun State ought to have been one where the ruling APC was not only fractionalised, but where the incumbent governor, Senator Ibilkunle Amosun, also vowed to work against the interest of his party’s gubernatorial candidate, Prince Dapo Abiodun. While leaders like former governors Segun Osoba, Bola Tinubu and the National Working Committee (NWC), led by the National Chairman, Adams Oshiomhole, were supporting Abiodun, the incumbent was bent on installing his anointed candidate of Allied Peoples Movement (APM), Adekunle Akinlade, as his successor in flagrant anti-party posture to his party. It was a dire situation that did not only weaken the chances of APC to retain power, but also threatened President Muhammadu Buhari’s hope of getting the required 25 per cent of the votes cast ahead of the general elections. But rather than take advantage of the situation, PDP couldn’t manage its internal crisis as well even though it had enough time to address the imbroglio. Senator Buruji Kashamu, who represents Ogun East on PDP platform, emerged as the party’s gubernatorial candidate in a separate primary while Ladi Adebutu emerged as the party’s candidate in a parallel primary. The incumbent senator hinged his claim to the party’s governorship ticket in a High Court judgment, which recognised the state executive body, led by Adebayo Dayo that conducted his primary but PDP’s NWC, led by the National Chairman, Prince Uche Secondus, recognised Adebutu. The party could not resolve the issue just like APC couldn’t resolve its crisis until March 23. There are two conspiracy theories that political observers point to as determining factor in PDP’s poor performance in the last Ogun governorship poll. First is the Ogun Central conspiracy and the Ogun East conspiracy. For the Egba, the rivalry between Amosun and Osoba for political supremacy in the state forced the duo to operate at variance. While Amosun was bent on backing Akinlade of Ogun West, the only zone yet to produce the governor in the state, Osoba, against his initial disposition to Ogun West producing the governor, opted for Abiodun, who is from Ogun East. 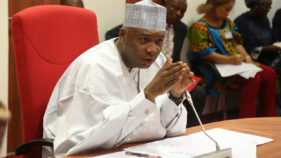 But while the protracted crisis in PDP continued, former governor of the state, Otunba Gbenga Daniel, the first director general, Abubakar Atiku Campaign Organisation before he was shoved aside for Senate President, Dr. Bukola Saraki, suddenly made a last minute turnaround to back Abiodun with similar directives to his supporters. Daniel’s sudden anti-party action was hinged on three factors. One is that the former director general of Atiku Abubakar Campaign Organisation must have felt offended the way he was shoved aside but decided to wait for the appropriate time to strike, which he did. Another narrative is that the former governor made a choice between his political future, his life and PDP. He perhaps opted to save his life by supporting Abiodun to avoid the ongoing case he has with the Economic and Financial Crime Commission (EFCC). He was also alleged to have bolted and supported Abiodun of APC to save some of his business interests, which Amosun has crippled in the last eight years. However, the major conspiracy against PDP is the Ogun East factor, which Abiodun disclosed while giving his acceptance speech. He said Daniel’s support for his mandate has nothing to do with either APC or PDP, but purely Ogun East agenda to ensure that the governorship mandate returned to the zone. It is the same excuse he gave for securing Kashamu’s support in the contest. The erstwhile governor must have jettisoned his party for the interest of Ogun East and his personal safety and businesses. Kashamu has been accused right from onset that he was in the race as a spoiler for PDP’s chances in the contest. One of the sentiments against him is that he deliberately joined the gubernatorial election to weaken his party’s chances, having realised that even if Ogun East people accepted him, it would be near impossible for him to get necessary backing in Ogun Central and Ogun West base on moral grounds. This is one of the reasons PDP’s NWC was bent on rejecting him even when it became obvious that the court and electoral umpire recognised him, as the party’s candidate for the election. It was also claimed that the party in power coerced the senator to either support Abiodun or face his extradition. The Guardian also learnt that majority of Adebutu’s supporters who were directed to support Akinlade did otherwise by supporting Abiodun based on the Ogun East agenda. But in fairness to Kashamu, he did his best to maintain PDP’s presence in the state, particularly at a time when everyone decamped to APC before and after the party lost in 2015. His is believed to have delpoyed his resources to stabilise the party as a seating Senator and bore the burden of a sinking party. Having realised their error in leaving the party for APC, which time has shown not to be any better than PDP, many of those who left now came back. It is therefore against natural justice for them to push Kashamu aside and favour another candidate for the party. And if indeed Kashamu worked against the party’s interests in 2019 his feeling of grievance could only be deemed natural. In a nutshell, the major factor that defeated PDP is internal conspiracy, led by Daniel, Ogun East’s ambition to get the governorship mandate and Kashamu’s political intransigence. The party’s presidential candidate, Alhaji Atiku Abubakar did not help matters either as he neither took any serious steps to address the matter; he did not even campaign in Ogun. Many questions are begging for answers why the Lagos PDP failed to utilize another marvelous chance of ousting the ruling party in the last gubernatorial election. To some, the case of governorship election in the state has become a matter of ‘the more you look the less you see.’ Could it be that the National Leader of APC, Bola Tinubu, is too strong and strategically wise for PDP stakeholders to dislodge in the last 20 years or is there a pact between him (Tinubu) and Lagos PDP? In 2015, millions of electorate in the state believed that PDP would use federal might and the fact that APC had intractable internal crisis to dust the ruling party, coupled with the nature of support and acceptance of the party’s governorship candidate, Mr. Jimi Agbaje. At the end of the day it lost. The defeat was blamed on PDP’s inability to manage its internal misunderstandings. Meanwhile, the 2019 gubernatorial election presented a better opportunity for PDP to claim the state following the disgraceful manner in which APC leadership denied the incumbent Governor, Mr. Akinwunmi Ambode, a return ticket. Apart from Ambode’s matter, Lagos APC was also fractionalised with two state executives. Mr. Fouad Oki, director general of all the campaign organisations that produced governors Tinubu, Babatunde Fashola and Ambode leads one faction while Mr. Tunde Balogun leads the other. Until the election took place, both factions operated at variance. On why PDP lost, a former Deputy National Chairman of the party, Chief Bode George, said a post-mortem analysis of the election had been done and he accepted part of the blame, saying, “Maybe I was also guilty. When Jimi Agbaje came into the party, we were looking for quality and he was contesting mainly at that time with Musliu Obanikoro. We have seen Obanikoro and the people said they couldn’t have any of him again. This one too came and in my 21 years of party politics in PDP, I have never seen such absolute nonsense and I blame the national for it. We have resolved in the Southwest that never again will anyone foist a candidate on any state from the national. 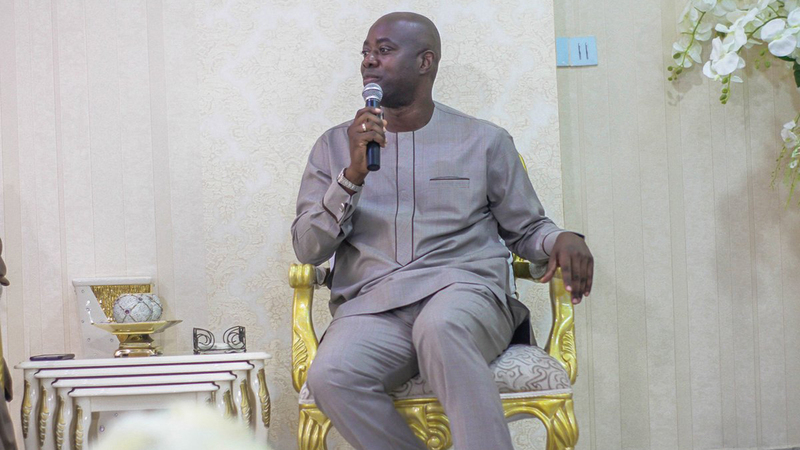 He also dismissed the insinuation that Agabje incurred the wrath of the party’s leaders in Lagos because he (Agbaje) stopped the tradition of sharing campaign monies to the elders, which is another reason many of the leaders refused to work with him. Meanwhile, Spokesperson to Agbaje, Modupe Ogunbayo, dismissed the allegation of conspiracy against her boss. She said those accusing Agbaje are the real culprits, who refused to tag along with the candidate throughout the campaign because they lost the governorship primary. She said one of them vowed to do everything possible to ensure that neither Agabje nor PDP won the race despite all the entries Agbaje made to pacify them. According to Ogunbayo, “One of those that contested the primary with Agbaje told him during a stakeholders meeting after the election that he worked for the candidate of another party. How do we reconcile this?”Ogunbayo also urged the people of Lagos to question the so-called Lagos PDP leaders to explain why they always fight to a standstill whoever emerges the party’s gubernatorial candidate right from day one. 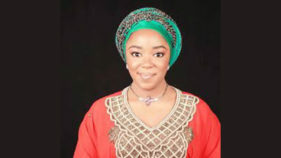 She cited Musiliu Obanikoro, who some leaders frustrated despite the federal support he had in 2007, saying the comment by Tinubu that he had Lagos PDP inside his pocket was an indication that some of the leaders are on Tinubu’s payroll. The major bane of PDP in Lagos, however, has always been traced to the party’s lack of internal cohesion. Ogunbayo also said Agbaje couldn’t have gone to challenge the election result when the leaders were not supporting him.The party’s poor performance in Ekiti is also traceable to the internal fractions between the former governor, Ayo Fayose and Senator Abiodun Olujimi and others, although the party managed to make some impact in Ondo State.